I ordered this robe and had it mailed directly to my interstate daughter. My daughter is size 10-12 so I was unsure whether to select the size 6-10 option or the 12-16. Based on another buyer's helpful review that she had purchased the 10-12 size and loved the product but wished it was a bit wider to preventing gaping at the front, I ordered the size 12-16 for my daughter. Ideally, the size range should include three options: Small (size 6-8), Medium (size 10-12) and Large (size 14-16), but the good news is that my daughter loves it! Yes, it is a bit big, but it is meant to be oversized and comfortable for lounging. The fabric is a quality linen, the colours are pretty, the design is comfortable and practical and my parcel was delivered quickly. So yes, I am a happy customer - thank you! 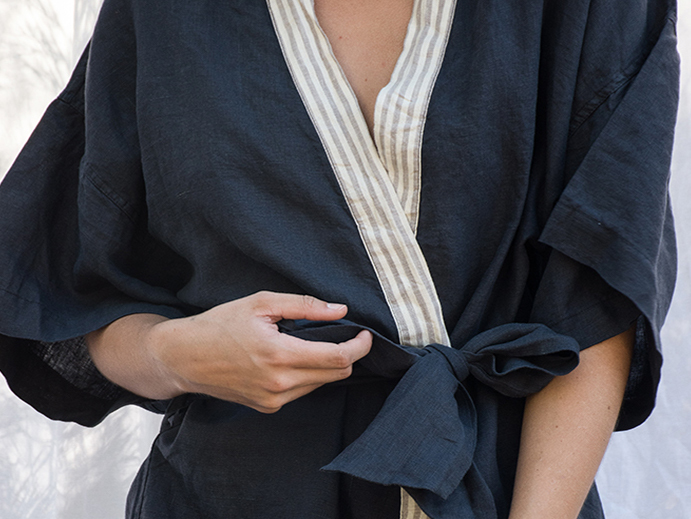 Super soft and lightweight, great for a warmer climate. Great quality. So soft and beautiful, just love it. Bought another one for my mum! Lovely fabric but a couple of flaws. 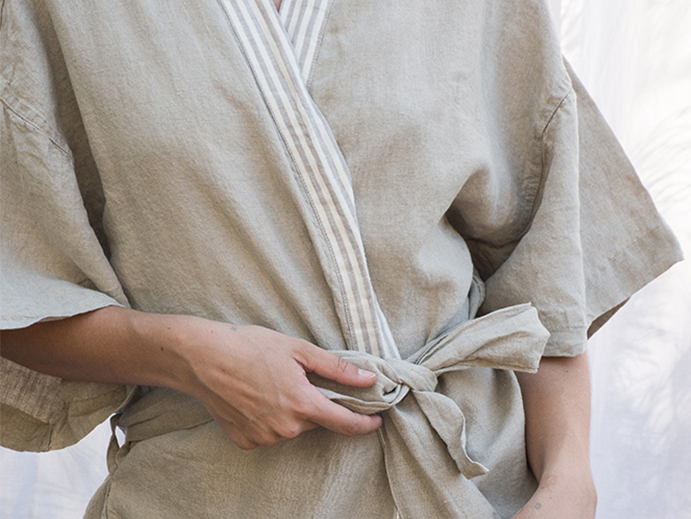 The one downside to this beautiful linen robe is its sizing. My general size is a 10 but I can't see the description as 'free size fitting a size 6-14 comfortably' realistic. The robe could have been wider, as once secured, the robe unfortunately gapes too easily. Also, there are no internal ties which do not help the situation. Pity! I was considering returning the item but decided to keep it as a shower to bedroom robe instead of utilising it to laze around in as intended. The return postage costs also put me off the return.